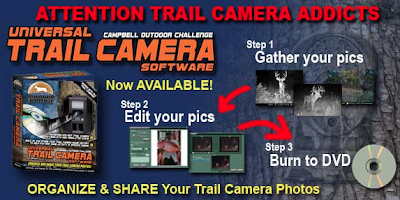 Take those trail camera pictures or outdoor memories that are just sitting on your computer and create an outdoor picture DVD in minutes! Completely customizable, add background music, transitions, titles and narration. Use them for clients, friends and family, or use as a way to backup your photos. Item Reviewed: On the 12th Day of Christmas My True Love Gave To Me a Universal Trail Camera Software 9 out of 10 based on 10 ratings. 9 user reviews.